Originally commissioned to commemorate Minnesota’s centennial in 1958 and out of print for nearly forty years, The Face of Minnesota is a lost masterpiece of photography and an eloquent tribute to the people and places of the North Star state. 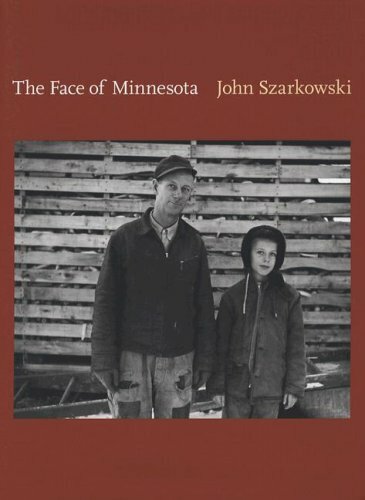 Republished in celebration of the state’s sesquicentennial, this beautifully produced edition includes contemporary essays about John Szarkowski’s impact on American photography and introduces his work to new generations of Minnesotans. Featuring more than 175 arresting photographs as well as essays filled with wit and affection, The Face of Minnesota opens with this statement: “This book is about Minnesota now. But as a mature man carries on his face and in his bearing the history of his past, so does the look of a place today show its past-what it has been and what it has believed in.” Though Minnesota has changed dramatically during the past fifty years, The Face of Minnesota reveals the simple beauty of the imprint of the past and its deep resonance today.